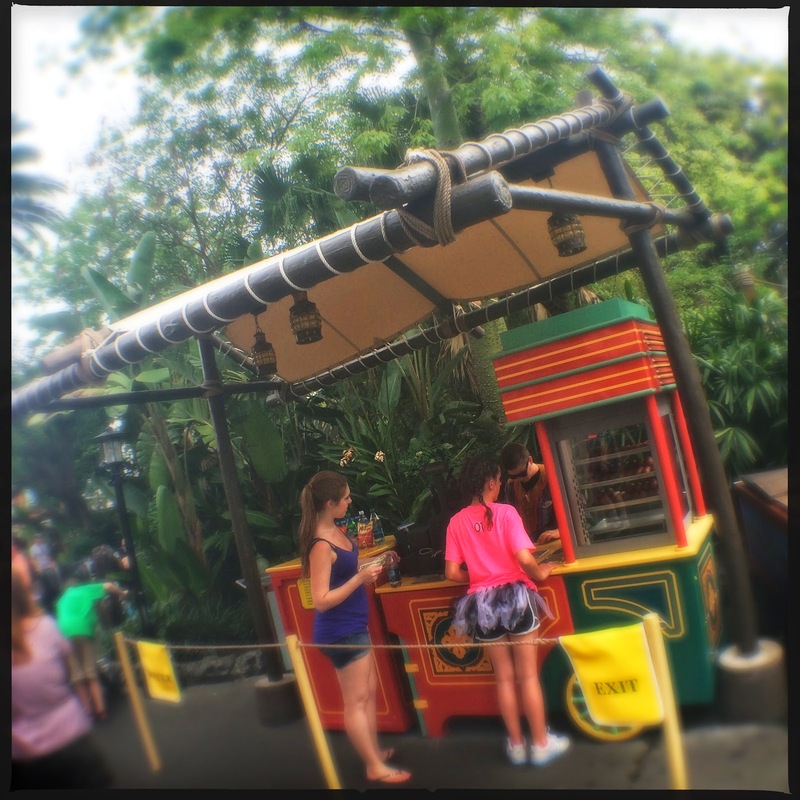 Oh Adventureland Egg Roll Cart…how I love thee. Nestled in the heart of Adventureland at The Magic Kingdom, this small food cart doesn't offer much, but does have a pretty huge cult following. The food offerings here are sparse. The main show here are the pork or vegetable egg rolls (this is the egg roll wagon after all…) but also included are bottled beverages, chips, cookies, and apparently corn dogs. But seriously, make those purchases elsewhere. 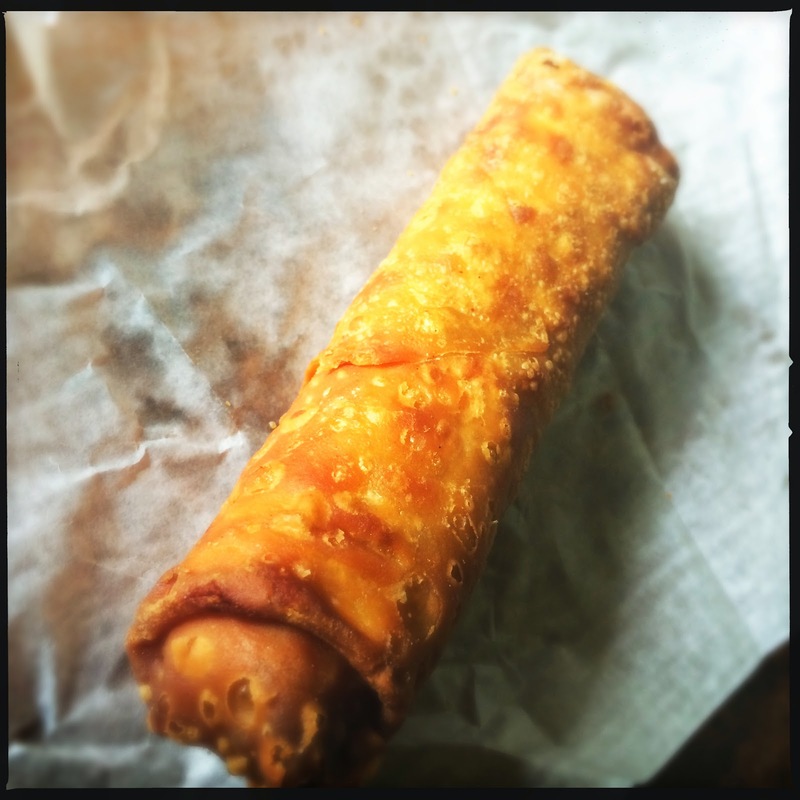 The vegetable egg roll here is nothing special…and also perfect at the same time. This savory little snack is exactly what you need sometimes. Very reminiscent of what you might find at any Chinese restaurant. (if your lucky enough to find a veggie egg roll, which is rare.) The wrapper is thick and layered, while the insides maintain a clearly frozen texture. But the flavor is pure yummy. This is comfort food…it doesn't have to be pretentious. I was happy to see that both of the big brands of spicy mustard are available. True bad Chinese food fans know which one is the real deal though. I'll let you experiment to find out which is for you. 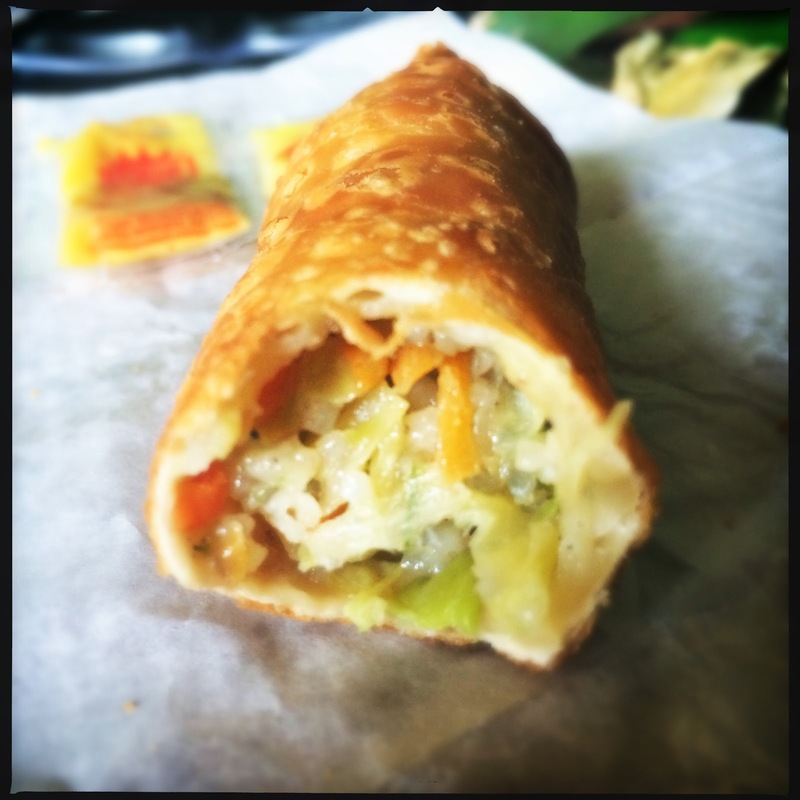 It might not be the most refined snack in the world, but sometimes an Adventureland egg roll is all you need! And sure, you could probably get the exact same rolls in the freezer section of your grocery store, but whats the fun in that? These snacks fit right in with tiki drums and palm trees…making up the grand whole of Adventureland. Now I can't figure out which mustard I should like! 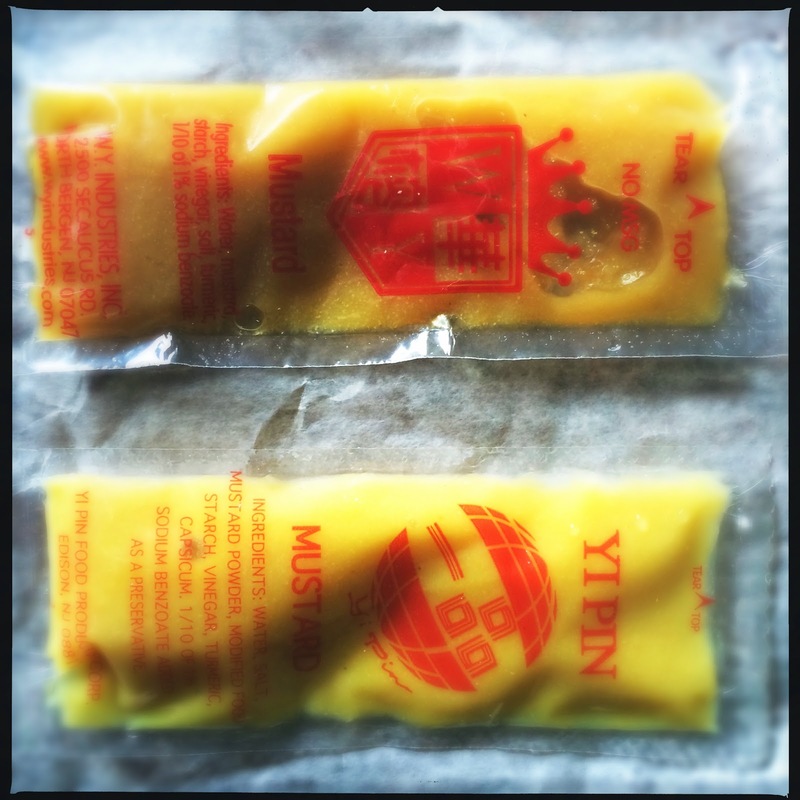 I live out in the middle of nowhere (the oft mentioned "middle of the midwest"), and we only have the top mustard as an option at our (truly horrendous - but perfect) chinese restaurants. The top one is better! The other one is just regular mustard! It doesn't even make sense. Sorry that the link didn't show up as a live link...you'll have to copy and paste! Samosas still live on at DAK! Hooray! @E.J. Stevens the ones at Magic Kingdom are indeed vegetarian =) The ones at Epcot's "Joy of Tea" stand in China contain pork. Where in Adventureland is this little gem?